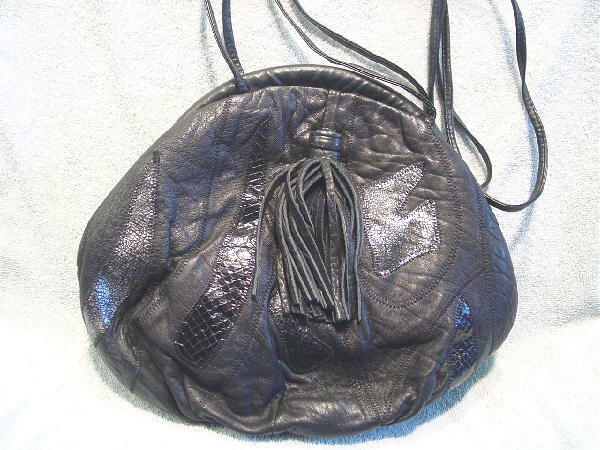 This black leather vintage Elegance purse was made in Spain. 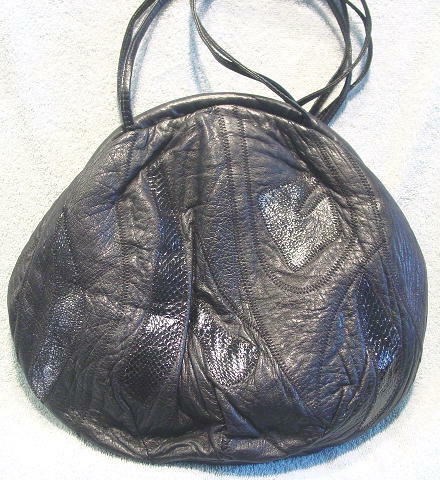 It has a black faux leather lining with a large black fabric lined zippered compartment. There are side hinges, a magnetic snap closure, and two 44" by 1/4" shoulder straps. 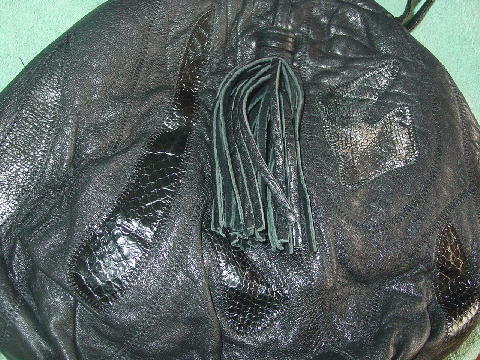 The front has a multi-strand leather tassel, black snakeskin, and faux silver-tone reptile design strips. The back has the same design strips, but no tassel.